We are a diverse Retail Tobacco Shop with a very nice size Walk-in Humidor of Premium Cigars. We also have a large selection of Zippo Lighters, Cigarettes, Loose Tobacco & Tubes, Pipes (several types like Corn Cob, Merachuan, Wood and Glass), Wraps, Fronto Leaves, Cigarillos, Snuff and Snus, Chewing Tobacco, Pipe Tobacco, Smoke Oder Exterminator Candles and Sprays, Ashtrays, Lighter Fluid and Butane, E-Cigarettes and Cartridges, Vapor Pens and E-Liquids, as well as Cold Drinks and Snacks. 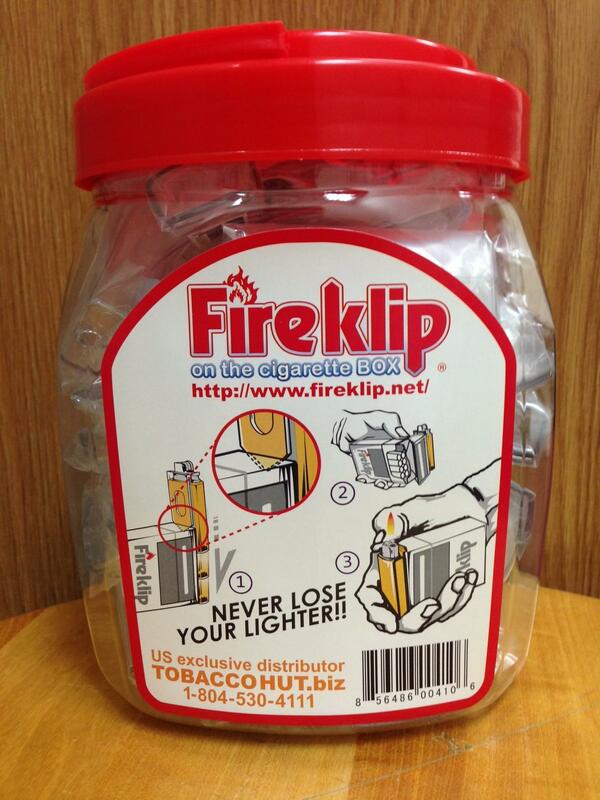 Also we are the exclusive distributor of FireKlip Brand Lighter Holder that clips onto a Box Pack of cigarettes and keeps the lighter with your cigarettes. These are sold by the Plastic Display as shown above for Retail Resale. Please call 804-530-4111 for pricing.